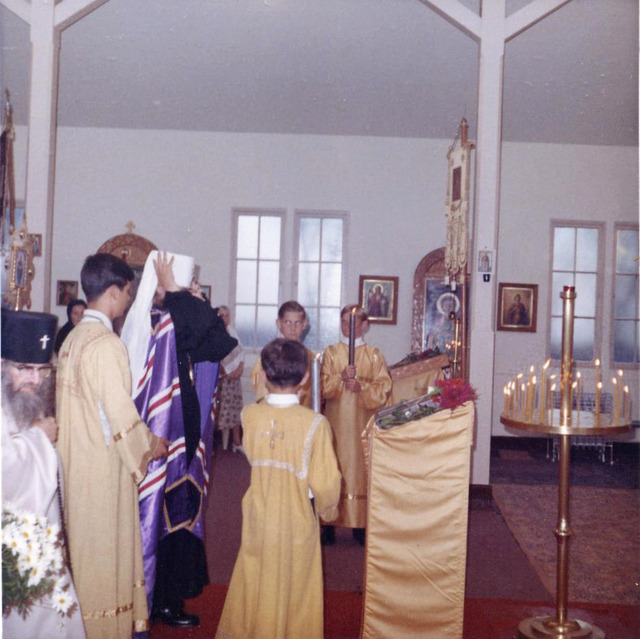 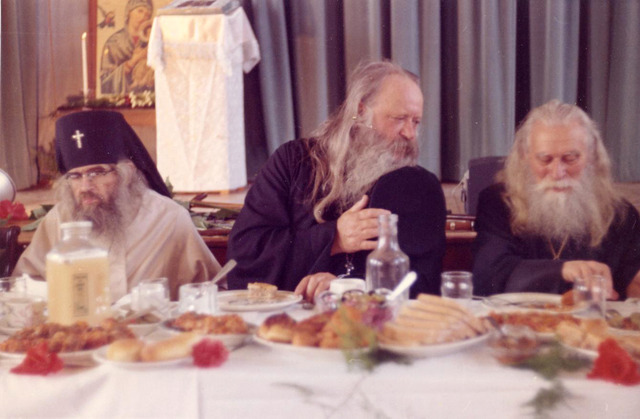 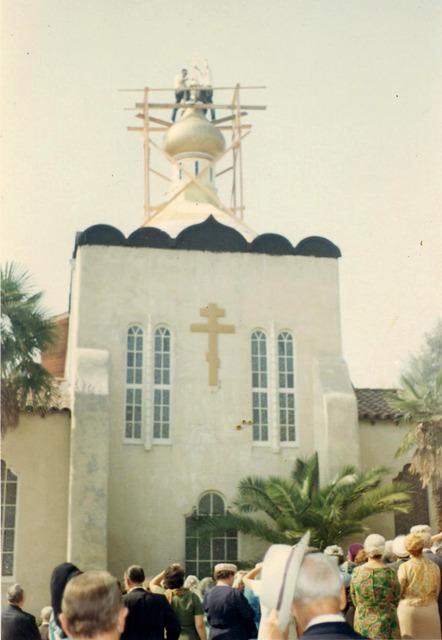 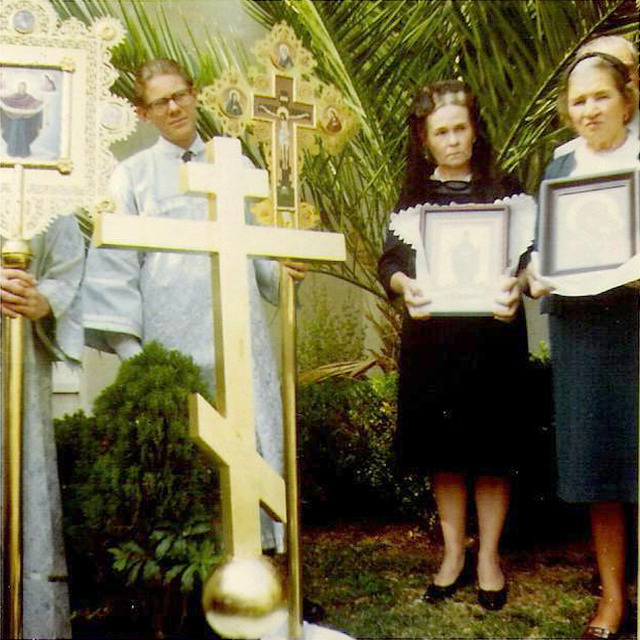 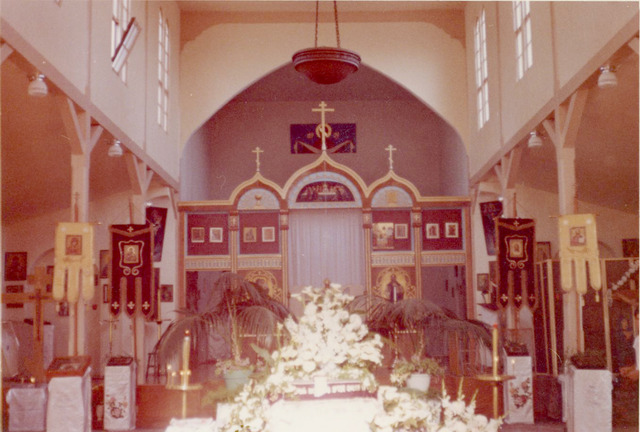 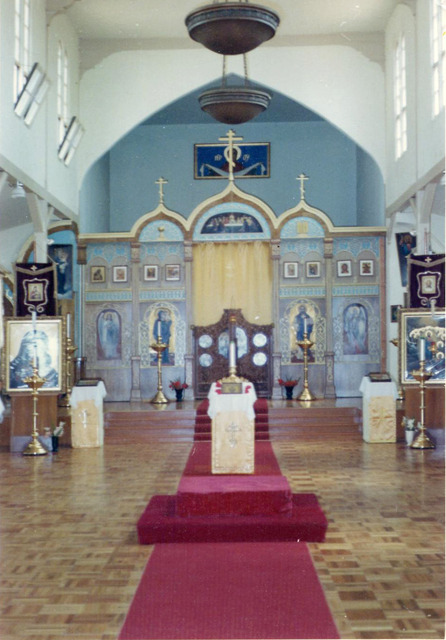 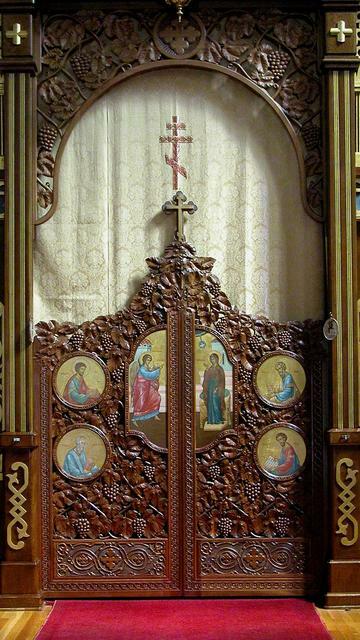 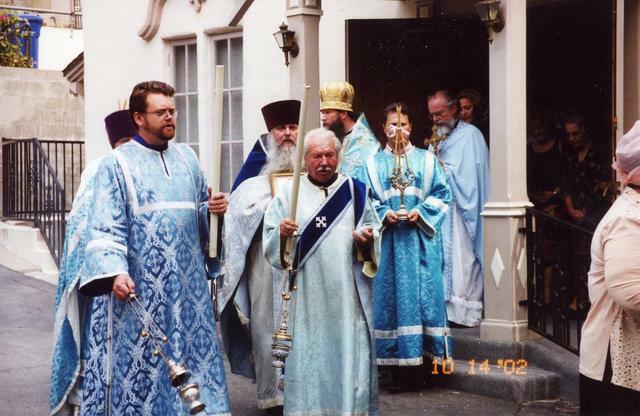 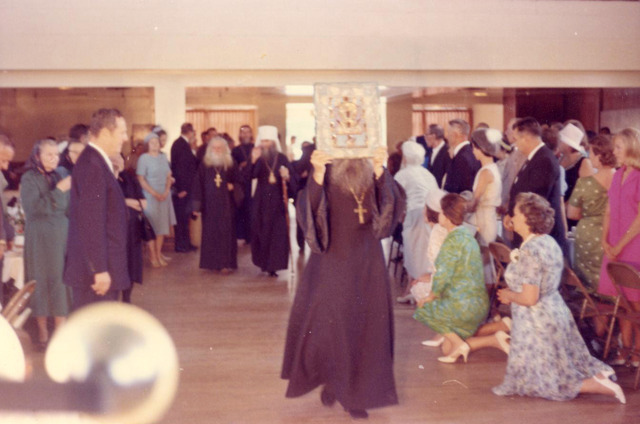 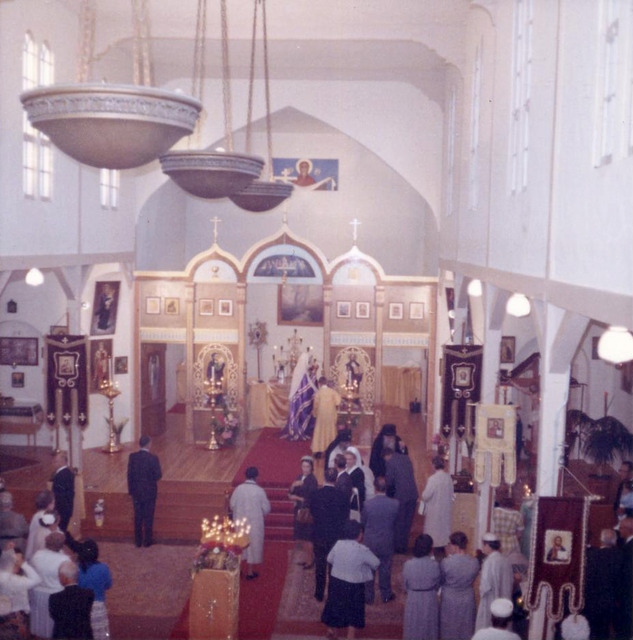 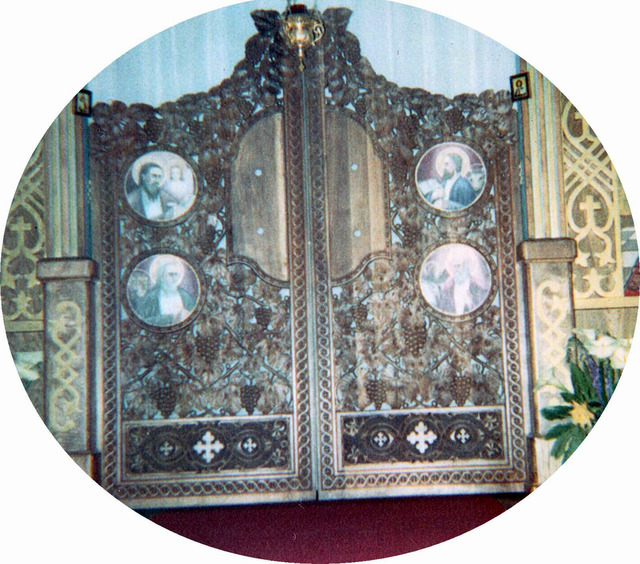 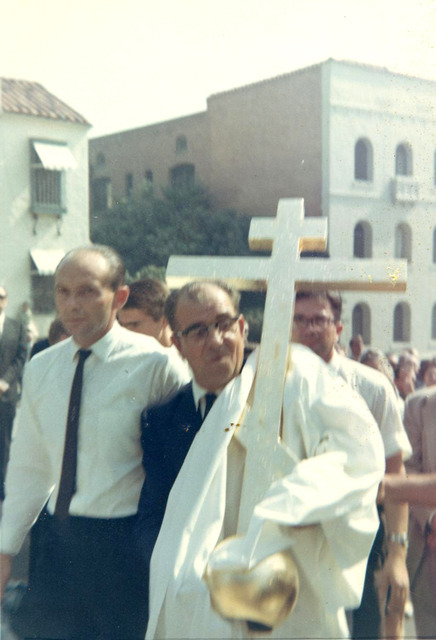 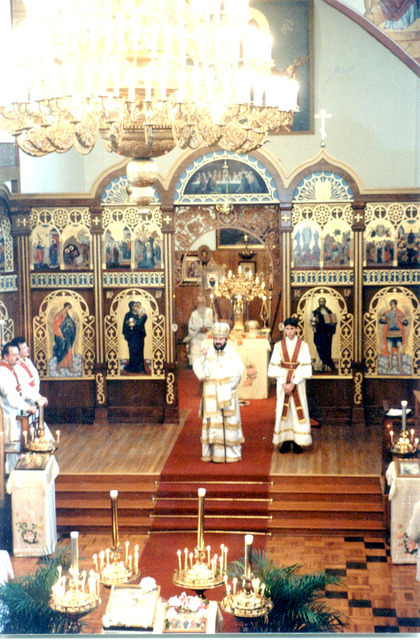 The foundation of our parish started on 16 June 1952 with blessing of Metropolitan Anastasy. 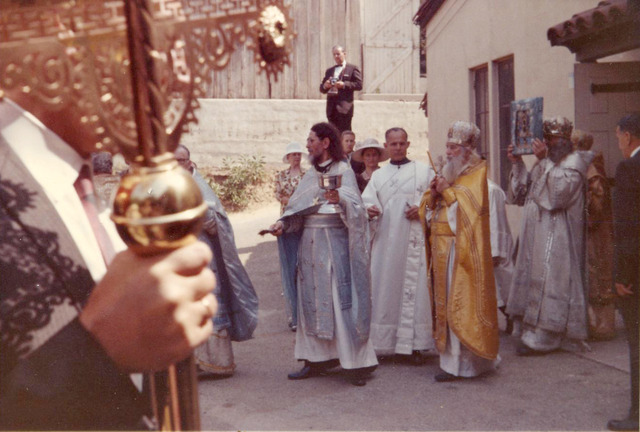 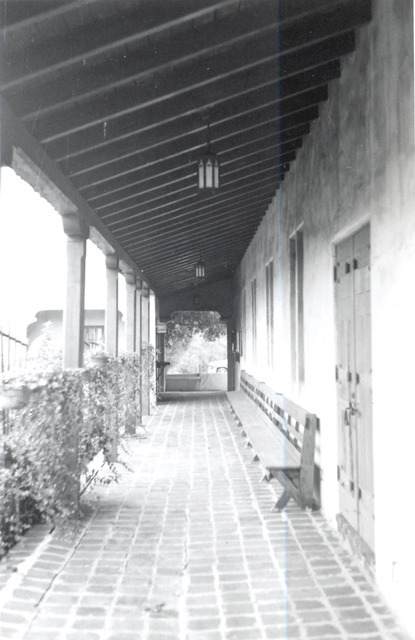 The official being of the parish came on September of 1952. 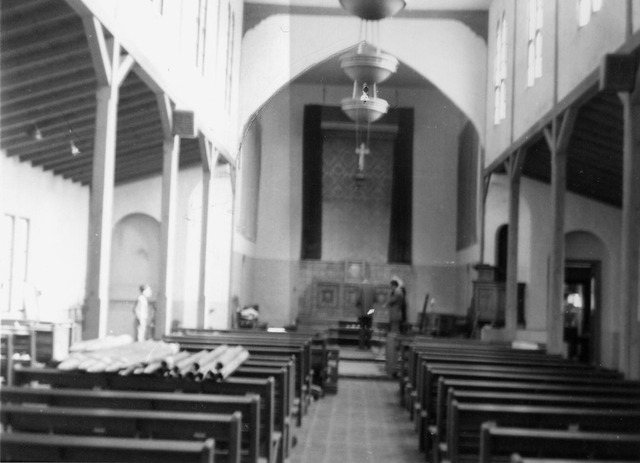 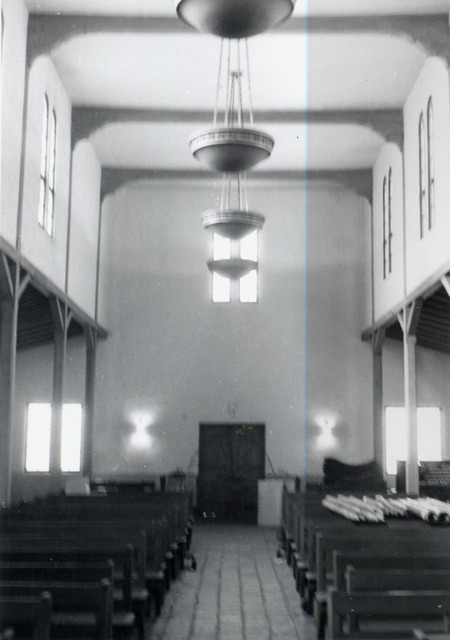 First parish Temple was arranged in a building at 150 S. Alexandria Ave. 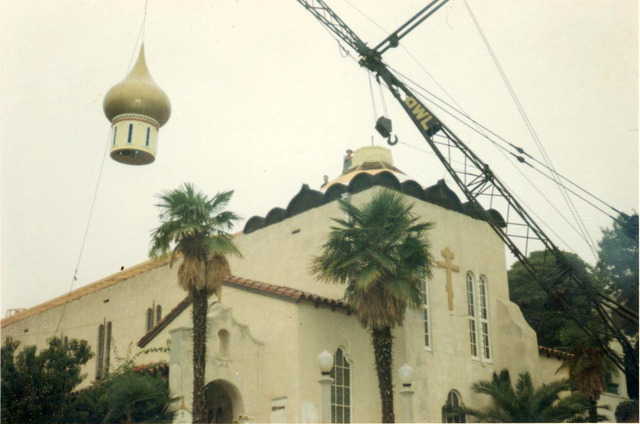 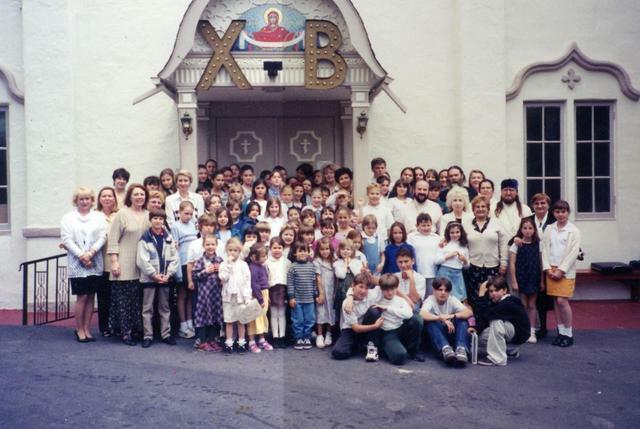 However, our parish by 1964 grew so much already that the new Temple was not big enough to fit everyone. 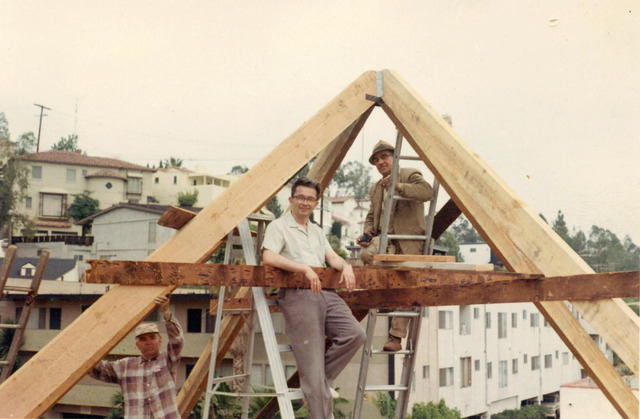 That was why it began necessary in September of 1964 to start looking for a more suitable building. 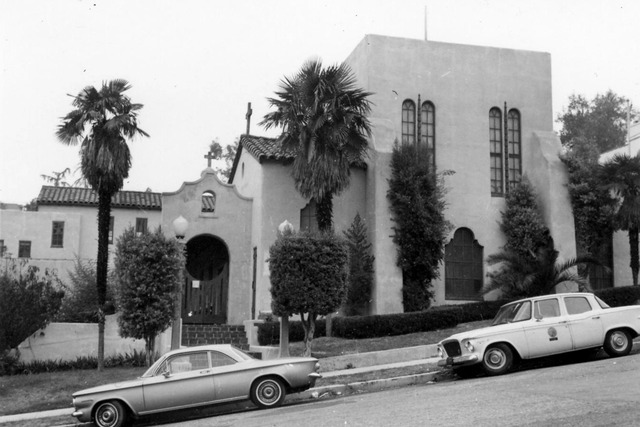 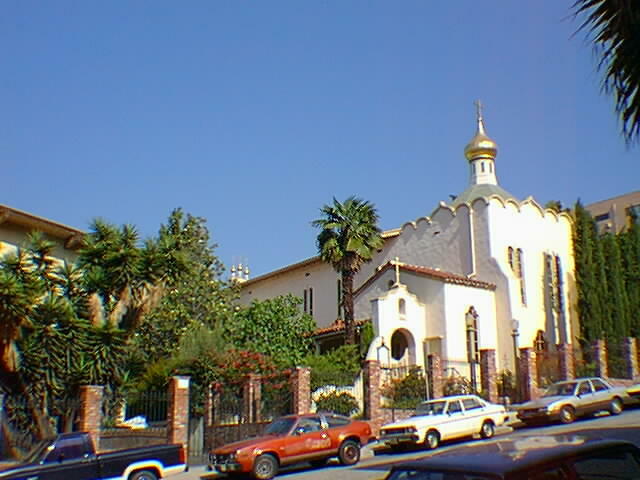 Thus, an Old Catholic Church at 2041 Argyle Ave was acquired. 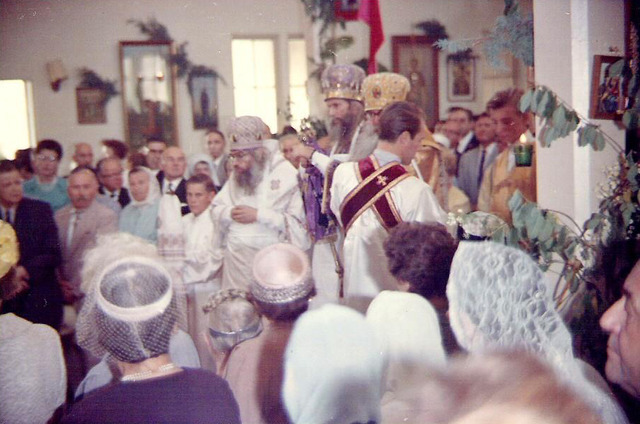 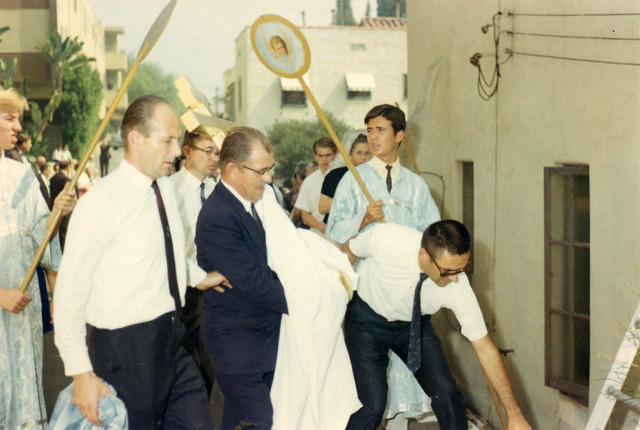 Solemn great blessing of the new Temple occurred on 4 June 1965. 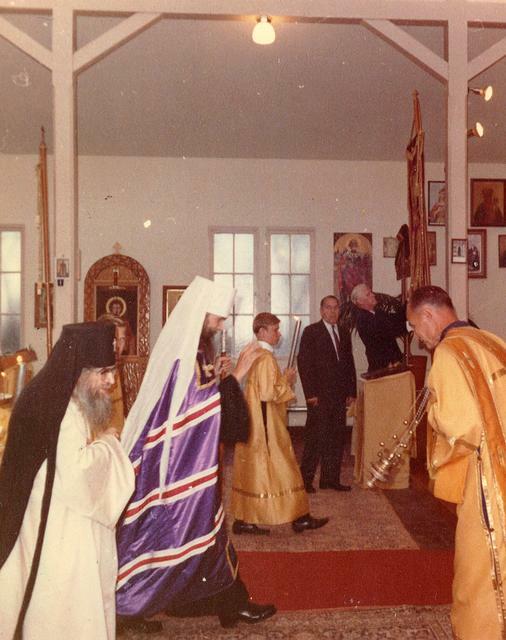 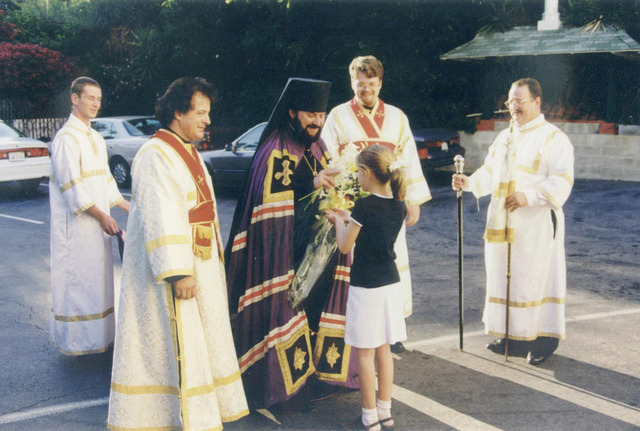 The blessing was done by First Hierarch of the Russian Orthodox Church Outside of Russia Metropolitan Philaret, Saint John of San Francisco and bishop of Edmonton Savva. 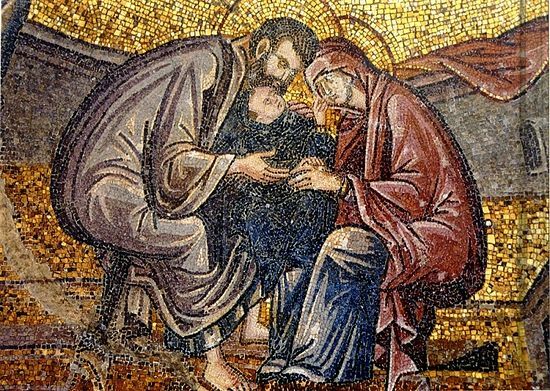 Today the Virgin stands in the midst of the Church / and with choirs of saints she invisibly prays to God for us. 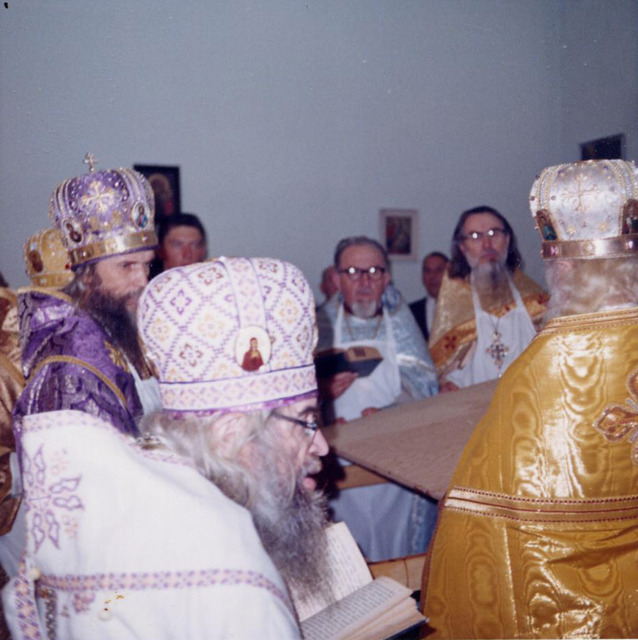 / Angels and bishops worship, / apostles and prophets rejoice together, / since for our sake she prays to the pre-eternal God.